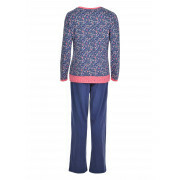 This pyjama set from Pastunette is so stylish and comfortable. 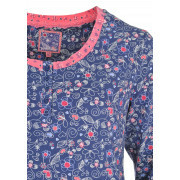 The top has long sleeves with a navy multi-coloured floral print and a short button front. 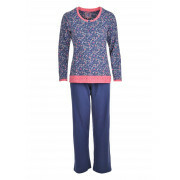 It also features a pink and navy heart print on the neck, sleeve cuff and bottom of the top. 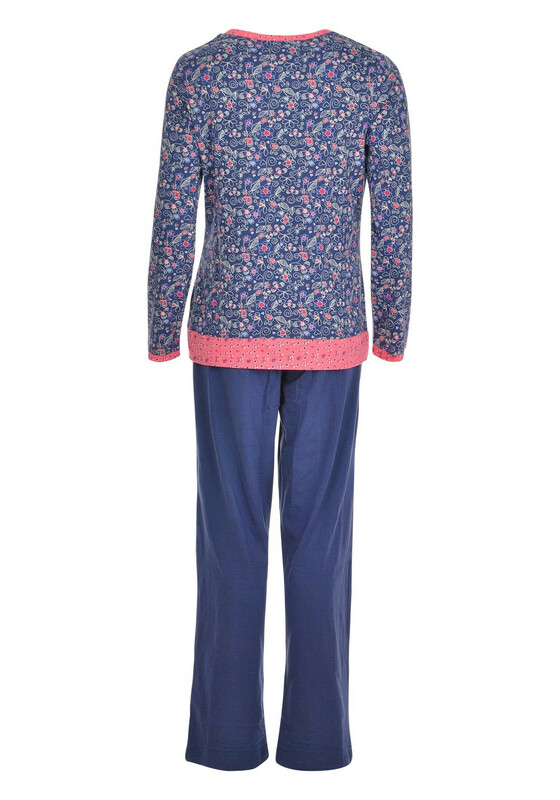 The bottoms are plain navy with a navy floral elasticated waist and draw strings. 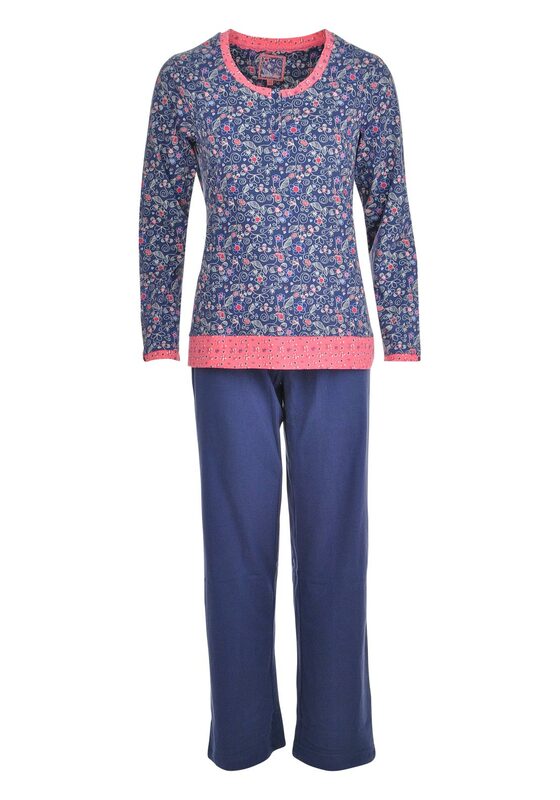 Beautiful, comfortable and loose fitting for lounging and sleeping.